It was a love story that bloomed among Roses. Brendan and Lorna Enright have tended to the 6,200 different rose bushes in the famous Rose Garden in Tralee for a combined total of 73 years. The husband and wife team, who are retiring this year, met on Lorna’s first day of work but Brendan confessed that he was a bit slow to pluck up the courage to ask her out. 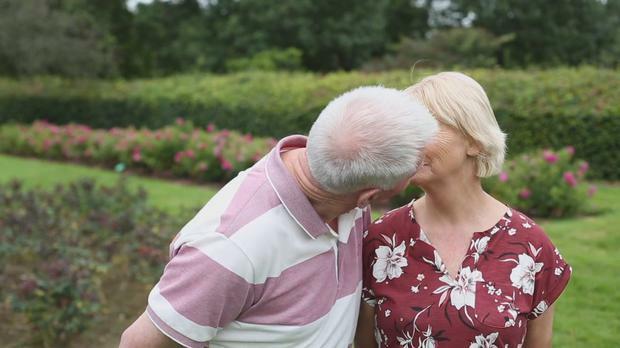 Now the couple are looking forward to enjoying their retirement, which they plan to spend travelling and visiting friends of old who they haven’t had the chance to see with their busy gardening schedule. “I started here in November 1985, and I met Brendan on my first day here,” explained Lorna. The Rose Garden is an integral part of the Rose of Tralee celebrations in Kerry as every year the winning Rose is welcomed to the garden the morning after the festivities wrap up in the Dome. Brendan and his wife have witnessed the beginning of some wonderful journeys over the years, and now this Wednesday they will welcome their final Rose, whoever she may be, bringing their own Rose journey to an end. “I’ve met all the Roses since I started here, from 1978 on,” said Brendan.